Microsoft Office has arrived for Google Chromebook users through the Google Play Store and it will be available free only to users with specific devices, while others will need to subscribe to Office 365. A report in TechCrunch late on Monday said neither Google nor Microsoft has made a formal announcement about the arrival. 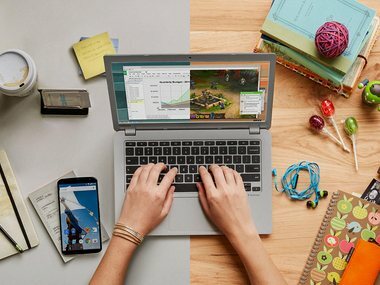 This is the first time Office has been available to Chromebook users through Google Play as a general release, the report said. In 2016, Microsoft had said that it would make Android versions of Microsoft Office apps available to all compatible devices. Although the Office on Android platform for Chromebook is available, for starters, the ability to run apps on older models is still limited. In addition, users with devices whose screens are 10.1 inches or larger will need an Office 365 subscription to use the Android app, a report in ZDNet pointed out.